Guyuan is a prefectural-level city in the southernmost section of Ningxia Hui Autonomous Region, bordring on Zhongwei and Wuzhong in the north and having Gansu Province surrounding it on the other three sides. It occupied a vital pass in the eastern section of the ancient Silk Road. From long ago, it was a town of military importance connecting central Shaanxi to the western lands outside the Great Wall. 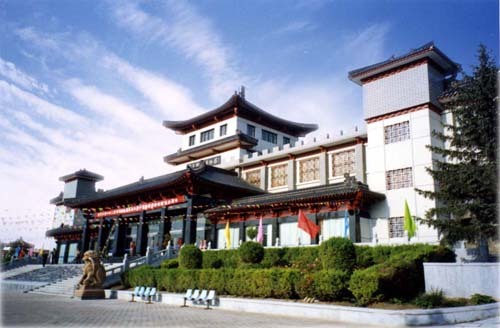 In the year 114 during the Han Dynasty (206 BC-220 AD), the royal court established Gaoping Town, which is said to be the historical Guanyuan recorded in history. Within the city, the Liupan Mountains zigzag north to south separating Guyuan into western and eastern parts. Most of the region is situated between 1500 and 2000 meters above sea level featuring undulating hills and gullies. Enjoying a temperate continental monsoon climate, the city has a lower temperature that varies greatly during a year. The climate features a cold spring and dry summer. The northern area is dry and abundant in warmth and sunshine, while the south is relatively wetter but the warmth and sunshine are somewhat inadequate. The annual average temperature ranges between 5 and 7 degree Celsius. 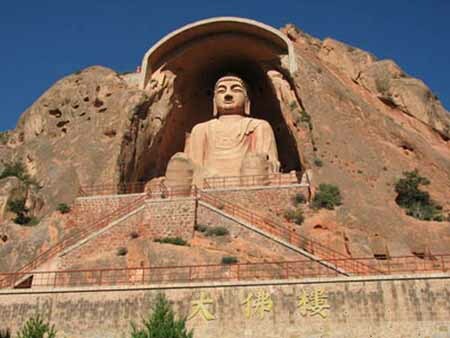 Top attractions in Guyuan include Liupan Mountain and the Mt. Sumeru Grottoes. The best season for visiting the city is in summer due to the moderate temperature. Special local products include buckwheat, oat wine, pea, and medlar.